Hey everyone! It hasn't been that long since our last Community Update, but a lot has happened. Whether we've been surviving snow storms at an HCS Grassroots event or delivering the latest MCC update, the various teams around the building have been knocking down milestones whenever possible. You've probably seen quite a few of these milestones go by in the public eye, but there are so many others that are hidden behind the curtain to ensure we continue moving forward. That said, let's recap some of the notable happenings from the past two weeks and prepare for what's coming up next! For a good visual of how Modern Aiming improves the feel of aiming in MCC, give the video to the right a watch as it does a great job of breaking down some of the differences. Eight new skulls have been added to Halo: CE to help players further customize their campaign experience. They all should look pretty familiar: Anger, Bandana, Catch, Ghost, Sputnik, That's Just Wrong, Thunderstorm, and Tough Luck. Let us know what you think as you explore CE's missions with these turned on! A Match Composer search preset that searches for Fiesta games in Halo 2, Halo 2: Anniversary, Halo 3, and Halo 4. This option has taken the place of the Action Sack searching option, but we'll keep an eye on how everything plays out. If you don't have it yet, hop on MCC and complete 12 matchmade games before the end of January! 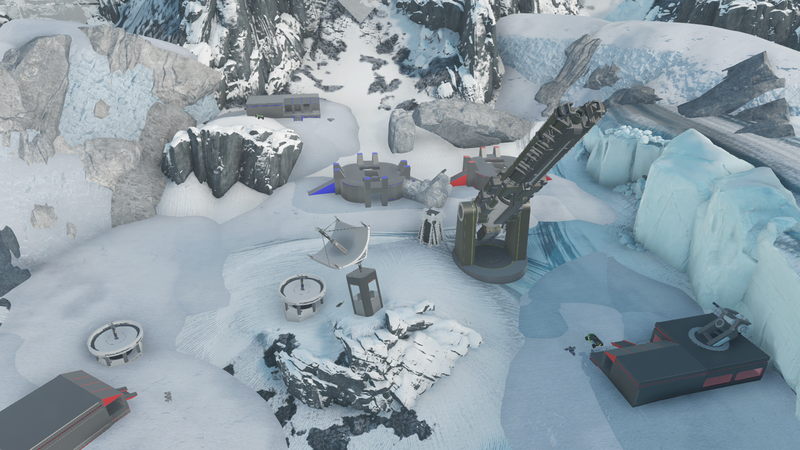 We also released a playlist update yesterday that introduces more map and mode combinations (including Ricochet!) 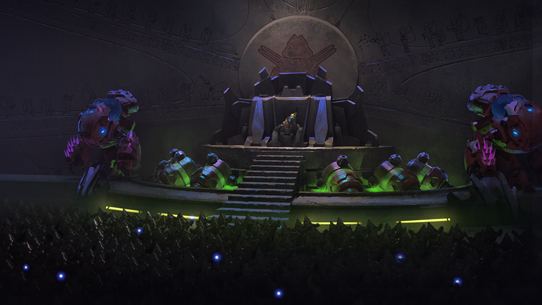 for Halo 4 in the Match Composer to add more variety and depth when the game is selected. Read up on the details in the MCC Forum courtesy of Postums! 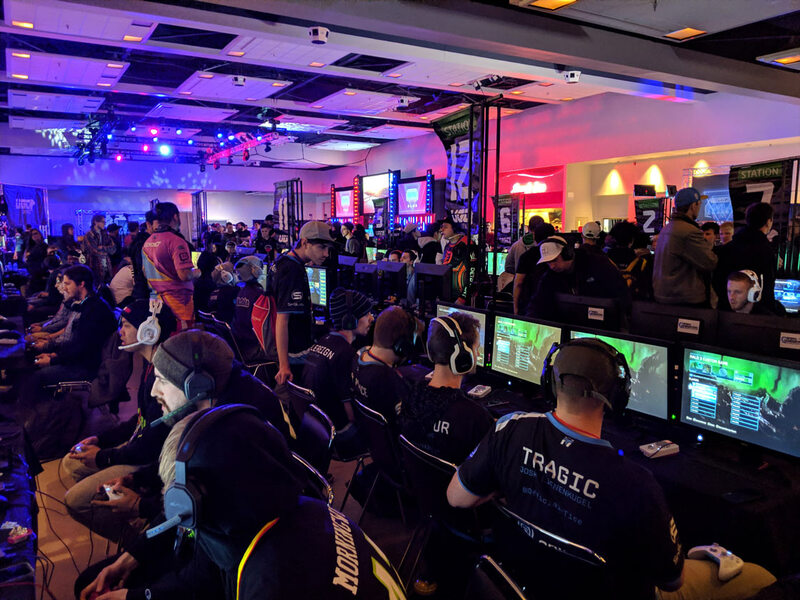 I joined the HCS Team in St. Louis for a blizzardous blast from the past at UGC's Halo Classic. 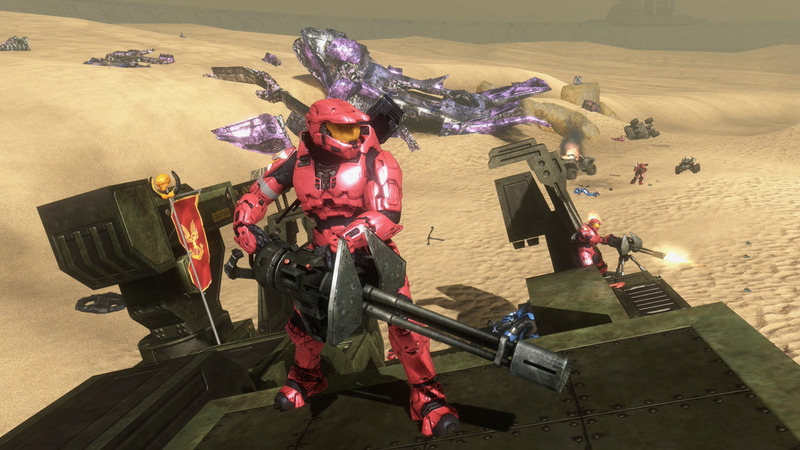 While there, we got to see nearly one hundered teams compete in an Open Event for Halo 3 4v4 competition, duos take each other on in a Halo: CE 2v2 tournament, and lone wolves fight to be top dog in a Halo 3 FFA tournament. After three days of incredible competition our voices were gone and our hands were definitely frozen. If you just want a summary of cool things that happened at the event, here are some memorable moments worth your attention! TOX Gaming took first place in an fantastic Grand Finals matchup against Denial Esports. The Top 6 teams from this event were TOX Gaming, Denial Esports, Team Reciprocity, LUX Gaming, Status Quo, and GMS. All of them will be invited to the HCS Invitational at SXSW in March, which you can find more info on just a little further below. Denial shocked everyone with their placing, with each member performing at the highest level. Watching Shele play at his first event, Str8 Sick sniping, Aries picking up three Overkills in the Grand Finals, and Commonly consistently making plays was so much fun to see in person. To start Championship Sunday, RyaNoob ended up winning the Halo 3 FFA proving his lone wolf abilities in this game as well. The insparable duo of Legend & Patch won the Halo: CE 2v2 Tournament and will almost certainly look to defend their title at this year's legendary CE Beach Lan. 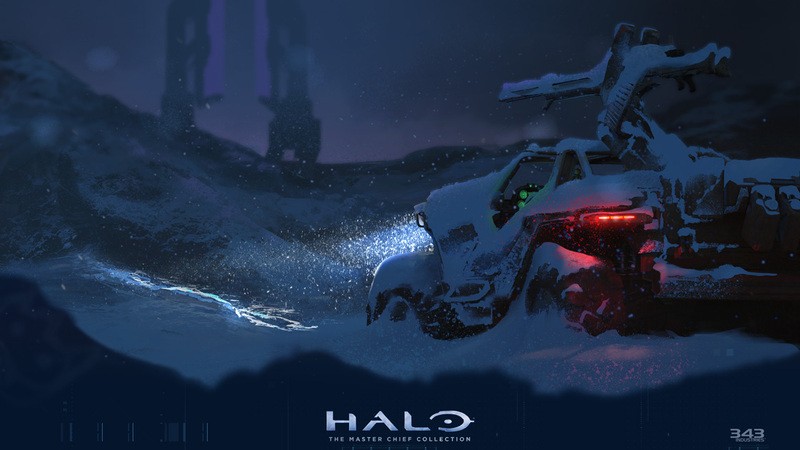 On top of all of that, we'll also be sharing some exciting MCC news during the show. Does the eyes emoji work on Waypoint? 👀 Sweet. If you want to attend the event, SXSW tickets can be purchased here! This competitive gaming tournament, streaming marathon, and massive LAN party for charity will be our next HCS Grassroots supported event. 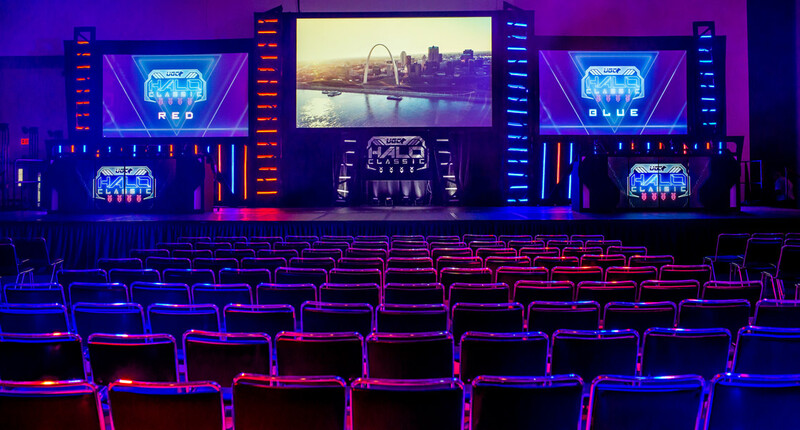 While I was away in St. Louis, they actually pivoted their plans so that they could support a Halo 3 4v4 event instead of their previously planned Halo 3 2v2 format. Get your team pass here! This HCS Grassroots event for Halo 3 is expected to be so big that it's already scheduled to span two months. Yes, that was a joke... please don't try to stay at the Kay Bailey Hutchison Convention Center for two months. If you're looking to stay in Dallas for that long though, DreamHack has provided a list of hotels and other event information right here! There's one this Sunday, January 27! The SXSW post covers the plan for Microsoft Store events quite in-depth, but since the ideas are so cool, I wanted to share the full excerpt here so you didn't miss it. Read up! For over a year, hometown hopefuls have flocked to their local Microsoft Store each month for some competitive fun with their friends and nearby Halo community members. We’ve gotten feedback that many players are super passionate about Halo and want to up their game to the next level and have more fun competing. The Microsoft Store tournaments are meant to offer light competition where the main goals are building a local community and having some fun competing. In anticipation of the HCS Invitational, we want to take the opportunity to welcome players of all skill levels to their local Microsoft Store to learn the ropes of competitive Halo 3, have some fun while competing, and potentially earn the chance to play on mainstage at the HCS Invitational at SXSW. Each region will be represented by a top pro Halo 3 player. Before players compete in the January and February MS Store 2v2 tournaments, they’ll have the opportunity to watch an instructional video where one of the above pro players teach them a bit about competitive Halo 3 to help them improve their game. Depending on which region your store is located within, your instructor will either be Str8 Sick, Flamesword, SnakeBite, or Pistola. If you attend both tournaments (Jan 27 and Feb 24), as well as make it past the first round in one of the two tournaments, you’ll have the opportunity to get flown out to Austin, Texas for a chance to compete alongside your region’s respective pro players in the $5,000 MS Store 2v2 Throwdown. Additionally, Mixer will reignite the Mixer Matchups program for this tournament series starting on Sunday, January 27 with monthly broadcasts supported by livestreams from participating store locations and commented live from Mixer Studio One on Microsoft Campus. This is the first of many ways Halo and competitive gaming content will be showcased on Mixer, so stay tuned to @WatchMixer and the Mixer Blog for more information on Mixer Matchups. Finally, we’ve heard stories of amazing community ambassadors attending their local Microsoft Store tournaments with the intention of growing the community, teaching players how to improve their game, and promoting a fun environment. THANK YOU! We’re asking each Gaming Expert in each Microsoft Store in North America to nominate official ambassadors in their stores. To show our appreciation for the ambassador’s support, they will also have the opportunity to be flown out to SXSW in Austin, Texas to spend the weekend with the Halo community and enjoy the show. The first two will feature Halo 3 2v2 tournaments on official tournament settings, and format for the tournaments starting in March will be announced at a later date. 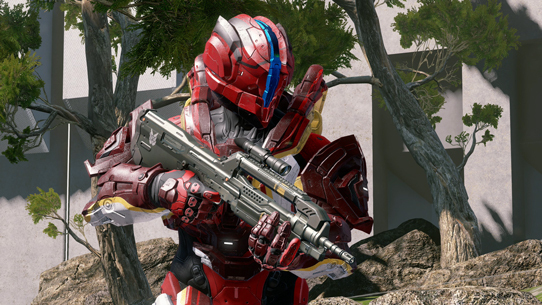 Action Sack and Halo 2 BR Slayer went live last Thursday and will help return our social experience back to its normal cadence of featuring a rotational playlist each week. To get these social offerings back on cycle, Action Sack will be staying up an extra week - which should also help us gather feedback for its refresh down the line. To chime in with your thoughts on Action Sack's maps and modes, as well as recommend new fun experiences, let us know in the Matchmaking Feedback & Discussion Forum so we can make it even better! As the Halo 5 Sustain Team continues working on new playlists and refreshes the existing ones, the two areas where they've really been making strides are the upcoming Head to Head (1v1) playlist and refreshing Big Team Battle. We don't have much to tease publicly about them just yet, but I know we'll be doing some sweaty tryhard playtests for Head to Head sometime next week. This will help us stress test the maps for imbalances and exploits, so I'll be rocking Gunnars, a Triggers Down jersey, and a backwards hat to channel my inner MLG tryhard. Are you ready to 1v1? Prepare yourself. 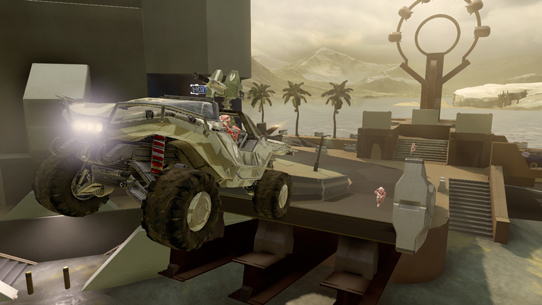 Warzone Turbo will be making its return to matchmaking next Thursday, January 31. It's nearly turbo time. 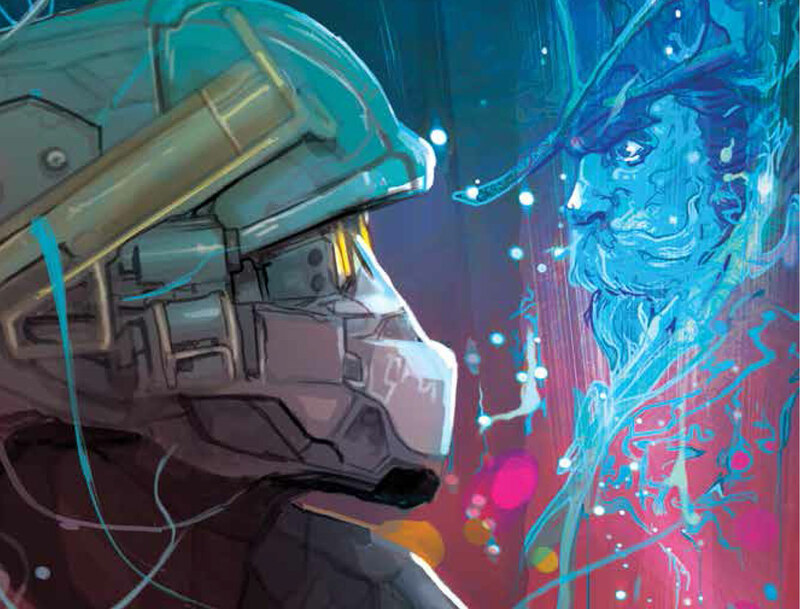 The second issue in Linda-058's comic miniseries, Halo: Lone Wolf, will be coming out on February 6. In this issue, Linda must not only deal with her target, Dr. Chen, but also the dangerous secret he's harboring. If you couldn't tell, I like to link out to the relevant pages, so here's a link to where you can preorder the digital version and here's where you can get a physical version. And, as a reminder, the Halo: Collateral Damage Hardcover compilation, which contains all three parts of the miniseries (as well as some additional bonus content) hit store shelves last Wednesday, January 16. You can also preorder the digital edition online from Dark Horse by clicking here! Not Halo: Infinite. As we mentioned in our last Social Stream of 2018, we will be creating an internal Pro Team to ensure Halo Infinite is a competitively viable Halo game. Since then, we've been happy to welcome Wes "Clutch" Price to the studio as the Pro Team Lead. Some of you might recognize him as an analyst at our HCS events, while others might recognize him from the time he didn't play the Oddball on Guardian during an MLG event, which allowed Triggers Down to steal the game by one second. Despite being responsible for one of the most infamous plays in competitive Halo history, he also snagged a Halo 3 National Championship in 2009 under the Believe the Hype banner, and we couldn't be happier to have him on board. Welcome to the team, Wes! BTB.net is hosting a Big Team Battle tournament in Halo 3 on MCC. You still have time to register, the tournament begins March 2. Visit their event page on challonge for details and reach out to them on Twitter if you have any questions! SWATnation is putting on a 2v2 SWAT tournament for Valentine's Day which will take place on Sunday, February 24. They're calling it Will You Be My SWATentine, and needless to say, I'm a fan of the name. They hosted a 4v4 tournament this past weekend, all while raising over $1000 for charity and showing some great matches. Unsurprisingly, Dynasty (consisting of pros bubu dubu, abbrupt, Sabinater, and Falcated) took the cake. A Halo Wars 2 Anniversary Tournament by the Halo Wars Fight Club will be taking place that same weekend with competition happening on both Saturday the 23rd and Sunday the 24th. They've shared all the tournament details here on Waypoint, so give it a gander if you're interested in celebrating Halo Wars 2's anniversary with other Halo RTS fans! Employee Spotlight: Lina Gaeta, a Senior Software Engineer Lead, leads the team that creates our aptly-named game editor tool called, "Faber." She's also really good at poker, so don't make any bets with her. Read her full Employee Spotlight over on 343industries.com! "Why... the Ark, of course." Marcus Lehto, a member of the original Halo team and father of Master Chief, shared this early sketch of the portal to the Ark. Since we just mentioned something lore-related, it's time to toss to Grim. He took the time to write up a special piece covering a cool event we hosted for a young Halo fan. Be sure to give it a read! At 343, we’re blessed to be able to come to work each day ready to play in one of the greatest toyboxes around. 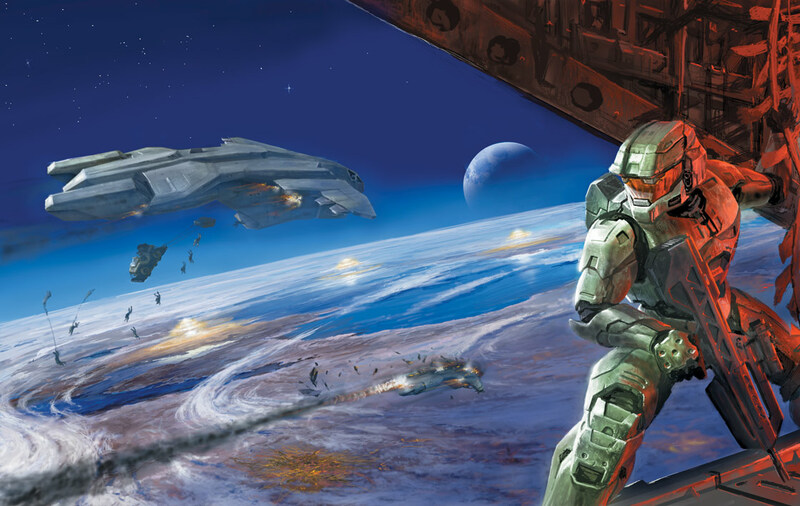 From creating new story elements and fleshing out characters, weapons, and worlds, to exploring the finer details of sandbox balancing and gameplay gymnastics, getting to call Halo a career is incredible in its own right. That being said, I’d be lying if I said that really any of those aforementioned attributes took the top honors as my “favorite thing” about working at a place like this. No, I think that podium spot is likely reserved for moments like we got to experience last week, where all of a sudden the real impact of what we do comes to light. Our incredible long-time friends and partners at the Make a Wish foundation had recently let us know about a particularly awesome young fan named Nathan, who desired nothing more than to be able to hang out for a day with some of the folks who make his favorite games. I actually had the extreme honor of skyping in on the big screen of his local Utah-based Microsoft Store a few months ago to let him know “in-person” that his wish was being granted. Last week, Nathan and his amazing family (Mom, Dad, Nathan, and four siblings – math I can personally relate to!) joined us for a day that none of us will soon forget. It kicked off at the Bellevue MS Store early in the morning, where a couple of Spartans from the 405th, a diamond-armored Minecraft character, a Campbell-cosplayed Cortana, and a nearly 7-foot-tall Master Chief (featuring the debut of an unbelievable new suit made by prop-master Phil Shinner) stood alongside a big contingent of Microsoft, Xbox, 343, Minecraft (and more) staff to welcome Nathan and his family for a fun donut and gameplay-filled morning. Later that morning, Nathan and crew made their way out to the studio for a day that featured learning to code with our friends upstairs at Minecraft, getting the lowdown on franchise history and universe details in the Halo museum, cake and ice cream homemade by 343 staff, a behind the scenes look at toy development, tips on how to stream and create content, and building a custom Forge map called "Central Point" with MP designers - which you can bookmark and play for yourself online. We actually even held a legit BTB playtest session on the map (not gonna lie – it was pretty great right out of the box) with Nathan’s family and a host of 343 staff, a playtest that literally culminated in an epic 100-99 slayer match where Nathan got taken out by his own mom FTW. You can’t make this stuff up. Needless to say, by the time Nathan and crew departed late that afternoon, we had all formed a pretty special bond with a pretty amazing family of fans. It was another reminder of what Halo is really about. Moments that make memories and a universe that forges relationships, and it’s an incredible honor to be even a small part of that process.